My 14 year old niece asked me yesterday if she could borrow this book from me. I almost didn't let her because this was the very first book I ever had on any type of decorative painting. I was living in Colorado and my parents had found it in a book store on their drive from Minnesota to visit me. 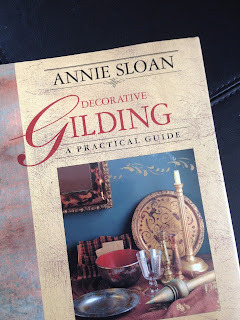 It was a year or two later in 98' that I officially launched my business and I still love reading this Annie Sloan book just as much today as I did way back then. 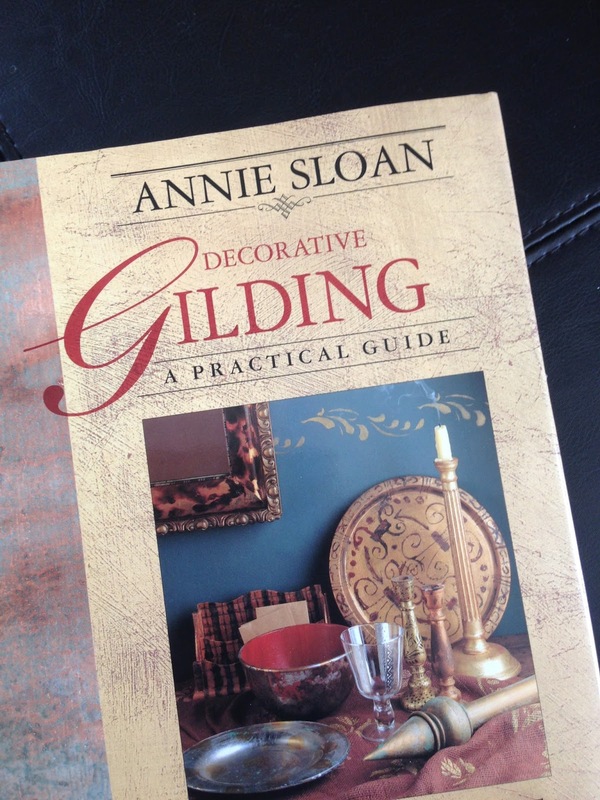 This Decorative Gilding book, as well as the other Annie Sloan books I later added to my collection were an enormous influence on my work. I was going to say my early work, but I know with whatever I create, all the influences of the past have helped shape what I do now. 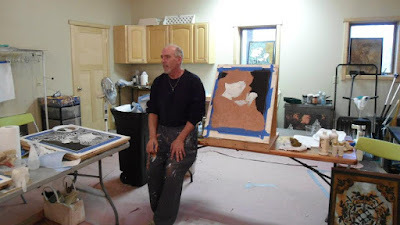 I remember several years ago saying that I wanted to take a class with Annie and the person I said this to, who happened to be another Decorative Painter looked at me like a deer in headlights and said "who?". I was incredulous that someone didn't know who she was. Don't you read? I came to find out a lot of people didn't. Then a year later the "Chalk Paint" boom happened, and I would bet you would be hard pressed to find someone who doesn't know who she is. In the age of the Ipod, Kindle and other electronic devices, which admittedly I love, I will never part with any of my decorative painting books by Annie or any of the other ones I own from many other authors. They are my treasured collection.